From Bottoms Up Ranch: "Thought of you and your blog…this is really good! If you like to cook give it a whirl." In these tender, elegant cakes, the Italian dessert wine Vin Santo contributes intoxicating flavor that’s played up by the addition of plump grapes. Generously butter muffin cups and dust with flour, knocking out excess. Whisk together 1 1/2 cups flour, baking powder, baking soda, and salt. Beat butter with 2/3 cup granulated sugar using an electric mixer at medium speed until light and fluffy. Add eggs 1 at a time, beating well after each addition. Beat in zest. Add flour mixture in 2 batches alternately with wine, beginning and ending with flour and mixing until just incorporated. Toss grapes with remaining Tbsp flour, then fold into batter. Divide batter among muffin cups. Sprinkle with remaining 2 Tbsp granulated sugar. Bake until golden and springy to the touch, 18 to 20 minutes. Cool in pan 5 minutes, then loosen with a knife and remove. Cool to warm, 5 to 10 minutes more. 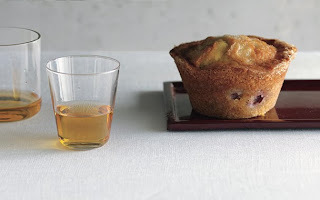 Cooks’ note: Cakes can be baked in 12 (1/3- to 1/2-cup) muffin cups. Baking time will be slightly shorter, 16 to 18 minutes. Stroll along Town Center Drive in Valencia as participating restaurants, retailers and wine stores feature wine tastings, food and musical entertainment. 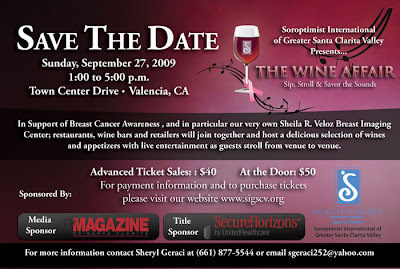 Sheila R. Veloz Breast Imaging Center will receive proceeds from this annual event help support breast cancer awareness and detection. Raffle available day of the event, $50/ticket. Only 300 tickets will be available. Bella Sport, South Point Argentine Grill, White House Black Market, Glen Ivy Spa, Salt Creek Grille, Lee’s Wine Bistro, Valencia Wine Company, Ro,Ma Jewelers and Vines Restaurant & Bar. An Affair Extraordinaire, Vino 100, Leona Valley Winery, Mojito’s Caribbean Cuisine, Puchella Winery, TGIC Importers, Heritage Lane Productions, Southern Wine & Spirits, The Oaks Grille – TPC Valencia, Mediterranean Skewers, Silkwood Winery, The Paseo Club and Wine 661 . Pulchella Winery Update: Santa Clarita’s First Commercial Winery is almost here! Don’t have much news other than the website has been completely updated to include release dates, an online store, wine prices, events, etc. We will be very busy this Sunday and Monday at the winery, bottling aaaaagain and preparing the winery for the upcoming harvest. We are still signing contracts for grapes. So many good vineyards to choose from with unique characteristics. We are trying to lock in. We are really existed about the syrah grapes we will be using for the 2009 harvest coming up. It’s deep west side Paso location and dry farming is really making Nate and I excited. In fact there might be a chance that all the grapes we get this year will be dry farmed!!! This means very deep and complex flavors, amazing color, and concentrated juice. I guess the best update I can give is that our wine club is filling up with people nationwide and when we look at the restaurants and wine bars that want to carry the wine, events, club members, expected website sales etc, I think the wine is all sold and it hasn’t been released yet. That’s a good problem to have I guess right? Oh our wine club had been updated as well and split into two tiers. Silver and Platinum. Silver= 3 bottles twice a year plus 15% off all orders. Platinum = 6 bottles a year plus 20% off all orders. Before we ship any club shipments out, we will be calling existing members and asking what tier they would like to be placed on seeing they didn’t have the option when they joined.That’s all for now. See you soon. We are now entering the final phase of the process as we come up on our public hearing at the Board of Supervisors next Tuesday, August 25th. The hearing will begin at 9:30 a.m. in the Board’s Hearing Room located at 500 West Temple Street, Room 381B, Kenneth Hahn Hall of Administration in Los Angeles. If you are unable to attend the Board hearing but would like to submit any last comments, support or concerns you’d like to have made a part of the public record, please e-mail them to me. As many of you may remember, the Regional Planning Commission (RPC) requested that the Board consider an amendment to the ordinance that would allow remote tasting rooms in Ag zones with a Minor CUP (instead of a full CUP). Our conversations with the Board offices have led us to believe that the Board is leaning towards adopting the ordinance “as is,” without the amendment suggested by the RPC. If you would like to review Board Hearing procedures or check the agenda for the hearing, please refer to the Board’s website at: http://bos.co.la.ca.us/. For a review of the Wineries and Tasting Rooms Ordinance or its history, please refer to our website at: http://planning.lacounty.gov/view/wineries_and_tasting_rooms/. I am available to answer questions by phone Monday to Thursday 8 am to 5:30 pm at (213) 974-6476, or via my email. Again, a large thank you to each of you for your involvement in this process and for working so collaboratively with our department to make sure we end up with a strong ordinance in the best interests of winegrowers and county residents alike. Let me start out by saying that, as a rule, I don’t attend events that use tasting tickets, for a couple of reasons. I find them awkward to deal with and I actually tend to consume more wine than I might ordinarily do, as I am more tempted to finish the entire pour. I much prefer being able to taste [not drink] as many wines as possible which really helps to expand my knowledge [and enjoyment]. I am sure the people who run these festivals have reasons for choosing one format over the other. That being said, the Trump National Wine & Beer Festival was being held on Sunday, August 16th at the Trump National Golf Course in Rancho Palos Verdes, a magnificent property right on the water and also right near my wife’s side of the family. And, as ticketed events go, it was fairly reasonable, at $20 for ten tastes. The above is just a partial list. Qupe Syrah — Always a quality product. Cline Cellars — Their Zins and Syrahs were what got me into these varietals in the first place many years ago and it was good to see they have not lost their touch. Clos Solene — An outstanding Roussane from Paso Robles. I also very much enjoyed meeting Carla King-Keiser from Free Run Juice, LLC. She represents several wineries and I really enjoyed the Syrahs she was pouring from Malm and Quixote. Finally, I want to mention the band that was playing while we were there — Heartless. I think they are primarily a Heart tribute band, but they threw in a lot of other artists as well, including some really spot on Janis Joplin. We ended up having a very nice time. Now if they could just do something about those tickets. Eve Tries Crianza Without a Catch? 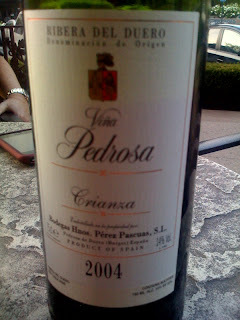 A Spanish varietal I never had before so I took careful notes. I liked it and I wanted to be able to find it again. Spanish nose to me meant it would be earthy; it didn’t disappoint. A much fuller nose than Cabs. I had been overdoing the Benedryl as a sleep aid at night. It’s something a normal person would take for allergies that has the side effect of causing sleepiness. I’m not a normal person, and when I was in Italy (drinking/working for you I might add) I doubled my dosage as my sleep patterns were thrown out-of-whack. My mouth finally dried up, tongue rolled in, cheeks caved, taste buds stood erect and even though you (thankfully) wouldn’t know it from the outside…my palate was cooked. So, a few days before the Crianza, when I figured out that I didn’t have cancer or a sinus infection, I gave up the big B. After a couple of days I noticed that the left side of my mouth was returning to normal, then it switched over to my right. Now when the full fan of the air conditioning of my car blasts my lips they feel icy cold and the tip of my tongue curls…whatever…I had half a palate and I was going to use it! Imagine, me with no palate…or…are you too busy imagining me without a tongue or voice? Ha! I’d still have a way to blog myself out of this one! And I’ve had just enough MISSED SLEEP to manage it! Wine May Protect Breast Cancer Patients From Side Effects from Newsmax Health, Sent in by Reader Terry B. Drinking wine while undergoing radiation treatment for breast carcinoma may reduce the incidence of skin toxicity in breast cancer patients, according to a study in the August issue of the International Journal of Radiation Oncology*Biology*Physics, the official journal of the American Society for Radiation Oncology (ASTRO). Preventing radiation therapy-induced side effects is an important part of a patient’s cancer treatment management. Several medications are available to help protect healthy organs from the effects of radiation, but they are often expensive, have side effects themselves and can provide protection to tumor cells as well as healthy cells. Italian researchers conducted the study to determine if the natural antioxidants in wine would provide a radioprotective effect in preventing acute skin toxicity in patients undergoing radiation therapy after conservative surgery for breast carcinoma. In 1987, the Department of Viticulture and Winery Technology was officially formed by act of the Board of Trustees of Napa Valley College. Their foresight has lead to the development of one of the most forward thinking and innovative departments of it’s kind. The VWT department awards certificates and degrees to students that fulfill the scholastic criteria to achieve these valuable distinctions. Prior to 1987, from 1984 to 1986, John Brookes was the first program co-coordinator. He organized the early curriculum and solicited donations from Napa Valley wine industry suppliers and producers. These donations of trellising supplies and irrigation, among other things, were used to plant the original 6 acre vineyard, which was 100% Chardonnay. All of the vines were donated to Napa Valley College by Domaine Chandon’s Will Nord. Mr. Nord developed the Ornamental Horticulture program at Napa Valley College in the 1960’s, before being hired away by Domaine Chandon in the 1970’s. In 1986, John Brookes left the department and Dr. Stephen Krebs was hired to take over the department. An interesting note is that the plants donated to Napa Valley College were on a proprietary rootstock developed by Domaine Chandon, called 5C. At the time, the two most common root stocks in the Napa Valley were St. George and AXR. Had the Chardonnay been obtained anywhere else, it very likely would have been on AXR rootstock, which was later found to be vulnerable to Phylloxera, whereas the Doamine Chandon proprietary rootstock, 5C, was very resistant to Phylloxera. In 1987, the VWT department consisted only of the aging agriculture building. There was no winery, no case goods building and no formal classroom. Dr. Krebs remodeled the agriculture building and revised the curriculum to the current three options of Winemaking, Viticulture and Wine Sales and Marketing. At that time, most of the grapes grown in the 6 acre student chardonnay vineyard were sold to local wineries and these funds were used to run and expand the VWT department. Some were used to make a couple barrels of wine, but limitations in space and instructors meant that at the end of each spring, the wines were destroyed. The first Winery Technology Instructor was Michael Wiess. The most popular winemaking class was “Basic Winemaking”. Dr. Gerry Ritchie took over as Winery Technology Instructor in 2001 and held that teaching position until 2006. Dr. Ritchie had a significant impact on the curriculum and many of her projects, manuals and teaching tools are still used today. In 2003, about 4 acres of the Napa Valley College Student Vineyard was replanted, to diversify the harvest and ensure a variety of grapes to educate students with. The first 5 rows are the “Bordeaux Blend” Rows. These consist of Malbec, Petit Verdot, Cabernet Franc and Merlot. These grapes are the basis for the Bordeaux Blend wine made by the students. Row 6 is Muscat Blanc, sometimes known as Muscat Canelli. Rows 7-11 are planted in two Rhone Valley clones of Syrah.Rows 12-14 are planted in Sauvignon Blanc. Row 15 is planted in Viognier. Rows 16-20 are Pinot Noir, clones 777, Homard 5, 114 and 115. Rows 21-24 are Chardonnay, consisting of Robert Young and Wente clones, as well as clones 4 and 76. Rows 25-44 are planted in Cabernet Sauvignon, clone 337. In 1999, The Trefethen Classroom was built. This was the first building at Napa Valley College built completely with private donations. Among the major donors were the Trefethen Family Foundation, Gasser Foundation and Doud Foundation. In 2000, Dr. Krebs raised funds through the Napa Valley Vintners Association Auction, to build the Teaching Winery. An additional capital campaign was undertaken to equip the student winery with current equipment and technology to give students the hands on learning experience that the VWT Department is now known for. The Napa Valley Vintner’s Teaching Winery was completed in 2002. In the Fall of 2002, the VWT Department celebrated it’s first harvest with the new teaching winery. In 2005, California State Senate Bill 220, sponsored by State Senator Wesley Chesbro, 2nd District Democrat, was passed. This bill Authorizes Napa Valley College to sell wine it produces as part of the college’s instructional program in viticulture and enology. This was a very important step in getting the Napa Valley Vintner’s Teaching Winery bonded, to legally sell the wine produced by the students. The bond was finally obtained, just in time for the 2008 Harvest. The bond, which is held by the non-profit “Napa Valley College Viticulture and Winery Technology Foundation”, as well as permits and licenses from the City of Napa and the California Department of Alcoholic Beverage Control allow the VWT Department to fund it’s own existence and growth through sales of wines created by students. In 2007, Byan Avila was hired as the Winery and Technology Instructor. He is also the Winemaker for the student winery. 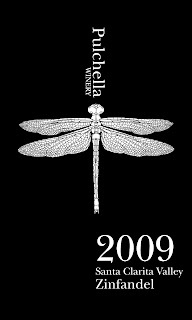 2008’s vintage will result in about 300-350 cases of wine to be sold. The Student winery can sell up to 1,000 cases of wine under the bond. The profits from the wine sales will be re-invested in the VWT Department, paying for equipment, curriculum and technologies that will prepare students of the VWT Department to be some of the best equipped and educated students in the industry. My original article was based more on discussing various types of closures and the effects that they have on the wines that we enjoy. Like Eve, I was unaware that a Cork Quality Council (CQC) existed. It is great to know that there is such an organization that is working toward providing better corks for the wine industry. As I stated in the conclusion of my original article, I am still a fan of cork as I feel that cork allows changes that can influence wines that are cellared. In my original article, I was not trying to get into all of the details on how a wine can be affected by 2,4,6-Trichloroanisole (TCA). Cork is a major source of TCA in bottled wine, although experts indicate that TCA in wine may be derived from sources other than cork, such as from barrels or other sources of wood. 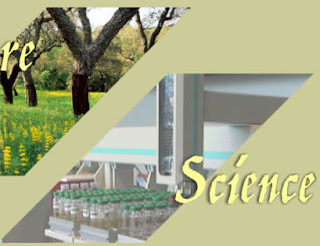 TCA analyses from a reputable laboratory provide the industry with valuable quality control data. Such data are one of the many tools available to today’s winemaker, but cannot, and should not, be a substitute for consumer sensory judgment. Perception of TCA by consumers is governed by many variables, including alcohol content, wine characteristics, and the sensitivity of the consumer. The consumer threshold of perception of TCA varies dramatically according to experience and inherited genetic capabilities. The research literature indicates that the existence of minute traces of TCA in award-winning wines does not impair product quality. When I spoke about the boundary conditions used in the CQC study, my impression is that most of the emphasis was looking only at the cork. The screening process and protocols being developed by the CQC will definitely assist the cork and wine industries. If the study were based on TCA in corks only with the understanding that it is not the only source, the numbers would be more acceptable based on all of the efforts of the CQC and cork industry. Let’s look at the corks properties and see if there are other sources that can taint wines with TCA. Chlorophenols have many sources other than the cork. Since corks are somewhat permeable and not hermetic or air tight seal, are there external sources other than the cork itself that can taint a bottle of wine? Those of us that have cellars know that we must be careful choosing materials used in the construction of our wine cellars as well as items that we store within the cellar as off gassing of materials can permeate the cork and affect the wine’s flavor . The fact that corks in wines can breathe is a concern when subjected to various environments where volatile substances exist. There are also effects from various items used in the wine making process that can cause wines to be tainted with TCA. The other topic is why are replacements being developed for cork? I wrote that there was a shortage of cork. After researching this further, there appears to be more influence from the economics than from the shortages that I have read about over the years. What has happened is that due to economic conditions, wineries can save a fair amount of money by finding alternative caps for their wines. Like I stated in my previous article, the new styles of closures are fine for wines that are going to be consumed immediately or within a year or two. Effects on wines that are stored and their effect on the wines development over several years is still unknown. My comments on sanitizing corks using chlorine bleach was in fact a process used in the industry. I am not sure if all wineries have gone away from this, and switched to a peroxide bath or no chemical bath at all instead of chlorine bleaching. I am also not sure if the CQC mandates regulations or if it is just a “Best Practice”. However, even if it were a best practice, the recommendation which is based on active research and studies which in turn would save a winery money by lowering losses due to TCA. It would be unwise to continue with a process that is known to create TCA. I would like to thank Peter Weber for providing insight from his organization. I learned even more from his inputs and further research on the changes and updates in the cork industry. The metrics on the percentage of wines that are corked or wines tainted with TCA appears to unresolved. This is probably based on the boundary conditions of the statistical analysis. TCA in the final bottle of wine has many variables (corks, winery processes, transport, storage, etc) thus providing many different views on TCA. Most articles that I have read and people in the industry that pour wine say that it is between 5 and 10 %. Andy Perdue, Wine Press Northwest stated, ” The cork industry claims 1 or 2 percent; others say 30 or 40 percent. My experience has been 7 to 10 percent. 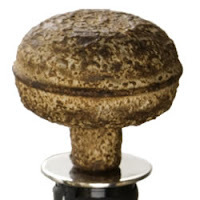 Regardless, it’s too much tainted wine.” Since there are other sources than just the cork itself being capable of causing wines to be corked, I feel that the picture is much larger than just looking at the cork as a source. I would like to see data that shows corked wines from all sources and not just corks. That is the metric that affects us the consumer. In conclusion, I praise the work and effort of organizations like CQC. Being a purist and loving wines that have aged, I would hate to see an end to the cork closures for wines. Even Peter Goddon at the First International Screw cap Symposium stated, “”Closure variation may have a greater impact on wines and wine quality than the widely discussed and debated terroir issues. After about a month in the bottle, wines under different types of closures will never be the same.” The battle of removing TCA from the wines that we love will involve many studies and changes. I am not sure if we will ever totally eliminate it as even bottles that have screw caps can have TCA as a result of the process and environment that it was exposed to. This is not going to be about tasting notes on specific wines because, I can’t do that. I just don’t seem to taste the things that other people taste, picking up notes of gooseberries and nuances of brambles, and so on. [Maybe it’s due to too many high octane Zins and Shirazes. Who knows?] And that’s probably why I found trying to contribute to Eve’s blog so darn intimidating. I know when I like something. I know when a Turley Zin blows me away. Or when I’m digging a Mollydooker Blue-Eyed Boy Shiraz. Or enjoying the impenetrable darkness of a Biale Petite Sirah. But I can rarely tell you why. I enjoyed the lavender notes I got from an Outpost Zinfandel. And I occasionally like the vanilla flavors from oak, so long as they don’t overpower the wine. And barrel tasting David Fulton’s first Zin gave me an amazing milk chocolate experience. But, mostly, I either just like it or I don’t. I friend forwarded me a link to your recent blog entry “Rusty’s Wine 102: Wine Bottle Closures”. You have a very impressive site, but I think you should consider updating some of the information on natural cork. Perhaps you might consider including an entry that describes the ongoing progress being made to eliminate taint in traditional wine corks. I represent the Cork Quality Council (CQC). It is a group of U.S. cork suppliers that have formed an association to improve cork quality. One of our achievements has been the development of a screening protocol that utilizes sensitive chemical analysis for TCA. Our method allow sus to detect TCA in cork samples at concentrations as low as 1 part per trillion. Our protocol has been adopted as a model for OIV guidelines in Europe, and is used by cork suppliers in Australia and South Africa. We have conducted extensive screening of all our natural corks since2002. Since our association instituted this screening system – member cork companies have demonstrated an average 80% reduction in TCA levels. Media reports of the incidence of cork taint range from less than 1%to 10%. The estimates rarely include attribution and the higher estimates often emanate from advocates of alternative closures. In your article you used an estimate of between 5-10% without reference.That is why I am writing you today. The cork industry is keenly aware of the problem of TCA and we dedicate enormous energy to eliminate its occurrence. And though we are unhappy to report that the problem continues to exist, I feel compelled to inform you that your estimate for the incidence of cork taint is extremely high. It does not correlate to any scientific study that I have ever seen. As a group, the CQC continues to see reductions in the occurrence ofTCA in our members’ corks. We are surprised and frustrated to see that unnamed “industry sources” continue to report unsubstantiated estimates. There have been a few documented studies that indicate therate of cork taint between 1- 2%. Our member companies, who have access to the CQC screening protocol, report lower levels than that.We estimate that the rate of cork taint from CQC members is below 1%. – In June, Dr. Christian Butzke of Purdue University, reviewed the results of over 3,200 wines submitted to the 2008 Indy International Wine Competition. He detected cork taint in 1% of the bottles finished with natural cork and claimed that TCA is no longer a major problem in the U.S. Wine Industry. – The UK Wine and Spirit Association’s investigation into the incidence of musty taints in wines sold in the UK estimated the incidence of mustiness at between 0.7 and 1.2 per cent. The analysis was conducted by the authoritative independent research institute Campden and Chorleywood Food Research Association, in association with leading UK wine retailers. Over 13,700 samples were tested. – In a trial by Southcorp in Australia involving 150,000 corks over nine years, the overall incidence of different types of cork taint was 1.84 per cent. Of this, 1.5 per cent was due to TCA. These examples are large studies conducted by professional tasters.Two years ago our group conducted a study to determine the incidence of wines rejected by consumers. We collected and analyzed wines returned by patrons at the Culinary Institute of America in St. Helena CA. Over a four month period the staff estimated that they served 4,764 bottles of wine. Most of the rejected wines presented a combination of flaws including – TCA, Brettanomyces and Oxidation or Reduction. Considering the estimated occurrence of wine flaws reported in the media, we were amazed to see that the actual rejection rate was 0.21% and that returned wines were six times more likely to be imported than from domestic suppliers. I enjoyed your blog, and as a member of the cork industry, I assure you that we continue to strive to eliminate “cork taint”. We are not there yet, but we are lot closer than some of these inflated estimates portray. Thank you for your consideration, and if you would like to receive any additional information, please let me know. (1) The cork forest is not “dwindling” – they are expanding. There is plenty of cork. (2) Corks are not the same quality as in the past – I agree except the difference is they are now better. The cork industry has seen a thorough overhaul in the past ten years. The industry uses new production methods, has modern material handling and utilizes extensive quality control methods that had not been available in the past. (3) TCA is not “a chemical used to sanitize natural cork prior to bottling”. TCA is not unique to corks nor is its origin related to any type of cork sanitation practices. TCA is a common chloroanisoles and is produced when fungi metabolize chlorophenols. Chlorophenols are ubiquitous and are common ingredients in wood preservatives,pesticides and even flame retardants. Chlorophenols can be generated as easily as spilling bleach onto a sheet of plywood. While TCA is associated with cork taint, it is found throughout your grocery store,in raisins, carrots, bananas, cardboard boxes and myriad other products (that we don’t swirl in a glass). Members of the cork industry feel that most TCA in cork originates in the forest itself.Though chlorine was once used in the cork washing process, the industry ceased that practice more than a decade ago. Even then, the corks were immediately dried after washing to a moisture level that did not permit fungal growth.